20 January 2015 by . 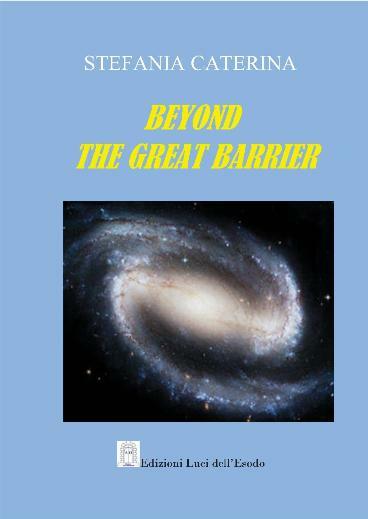 Today we will begin with our reflection path on the last part of the book “The Universe and its Inhabitants”. The title of this part is “From the third millennium to the new creation”; we are going towards the new creation. The new creation is no more an abstract idea; God shows us the way to get there. What this book describes occurs in front of your eyes. You could follow certain events – I do not know how well you have understood them – you will see other events and again others in the future. God speaks clearly. As I said, the new creation is not an abstract idea; it will be fulfilled through the recapitulation of the whole universe, of all things, in Christ, and we Christians are particularly called, as Church and people of God, to respond and be instruments through which this plan will be realized. In this part of the book you will be able to recognize the graces that God is giving in this time and the instruments through which the graces pass. You also need to know Lucifer and his instruments which are extremely committed to block the souls in this time to prevent them from seeing, understanding and taking decisions. These are the events in which the humanity of the whole universe, especially the one of the Earth, is called to give its final response: either with God or against God; yet, in front of this issue humanity will be divided. This is the time of preparation for the coming of the Antichrist. We have a duty to speak to you and to tell you the truth. Woe to us, if you do not speak to you; however, we cannot take your place. You have to see and understand yourselves; you have to decide, commit yourselves and follow the indications that the Lord gives you. You will receive all the graces. No-one can replace you! So, tonight we will open up for this short but dense reading that wants to outline what God wants to accomplish in the third millennium. Listen. The third millennium began with the great Jubilee of the year 2000 which was a great spiritual event, strongly desired by Pope John Paul II. The Pope had welcomed God’s wish to renew the Church. In fact, in the plan of God the Jubilee meant not only the celebration of the third Christian millennium but primarily an epochal leap; an essential passage for the Church towards the new creation. The year 2000 was the threshold through which God introduced His people of the Earth into the last stage of the plan of the recapitulation of all things in Christ. God asked the Church to make a quality leap in order to enter the novelty of the times, leaving behind the errors and infidelities committed in the past. He would have granted the Christians many graces to accomplish such a passage. God expected a great opening to the newness of the times especially from the catholic hierarchy. From the response of the Church depended the quality leap of the whole universe, especially of the low universe which was waiting for the announcement of the salvation by the Church. With the year 2000 the stage immediately prior to the glorious return of Christ began. In the days before the beginning of the great Jubilee St. Michael, according to God’s order, went down to the underworld to communicate Lucifer and his legions God’s guidelines for the years to come and the limit set by God to the infernal action. St. Michael warned Lucifer from putting obstacles in front of the chosen souls and the faithful people. No action of the demons that went beyond the limit set by God would be tolerated. These guidelines that St. Michael and the six great Archangels announced Lucifer will be touched several times in this part of the book; we will especially dwell on the instruments of God and those of Satan. Now I want to highlight only a few points so that you can move forward. The first is: “the strong acceleration of the plan of recapitulation in Christ through the gradual revelation of the realities present and active in the universe.” According to statistics 40% of the Germans believe in the existence of life in the universe; however, we need more accurate knowledge about this issue. Life is a mystery; the universe is a mystery for science and also for the faith since mankind is not able to understand the whole truth. God, in His goodness, wants to introduce us into this great and beautiful mystery and give us the guidelines; all the issues we are speaking of now and will touch in the future are meant to help you understand things better. The Christians who love Jesus want to dive into the novelty of the grace which leads to the new creation, which is God’s work and in which we can participate only through faith as the Jewish people did when exiting Egypt in order to reach the “Promised Land”. So, allow God to enlighten and inform you. The second point that I also want to connect to the sixth point is: “The increasing spiritual elevation of the people of God in the whole universe through the consecration and sanctification of many members of the same people.” The whole people of God must become the holy people of God without exception. The whole people must become righteous; that is the sanctification; however there is another word: the consecration. What is the difference? In the moment of conception every one of us is destined for an unique mission. In the same way as we are unique also our mission is unique. So it is very important that the individuals listen and let themselves be guided by the impulses of the Holy Spirit towards a mission, the dedication to God’s action and the grace as well as to serve are necessary in order not to remain on a generic level. None of us ought to remain on a biological or human level; we must achieve our own originality and individuality as well as our own mission. “The increasingly effective action of the Holy Spirit within the souls of the living and the dead in order to prepare the humanity of the whole universe for the glorious return of Christ.” God acts in our heart. He has impressed upon us His image and likeness, and He will give every child of God, the first and the last, the opportunity to sanctify himself. Satan acts from outside; he manipulates us through fierce hierarchies and robs our freedom. The Holy Spirit acts within the living and the dead; there are no barriers for the action of the Holy Spirit. So, in these days, as we are on doing our path, we will also contemplate the means to participate in this action of the Holy Spirit in order to reach out to our brothers and sisters who are in need of spiritual help. The third point is: “The gradual overcoming of structures and systems which operate on Earth and in the universe and hamper the direct relationship between man and God”; what does it mean? You know what happened after original sin: man withdrew into himself; he fled into himself and ended up under the satanic hierarchy. But what is our destiny? Our destiny is the beatific vision; to look upon God face to face, to contemplate God. That will not occur through a magic act, but through our path towards conversion, united to the instruments that God has put to our disposal so that our direct knowledge of God may improve. The direct knowledge of God is not something individual; it always occurs through the union with the Spirit of Christ; those who are in Christ, in the Spirit of Christ, are united with the others; in the same way as He has come to save all each one of us can participate in this beatific vision in communion with everyone. Not even one may be excluded. This is not a strange event on Earth. Read the fourth chapter of the letter of St. Paul to the Ephesians where he speaks of the perfect man, of the perfect Christian, the mature Christian who reaches the communion with God; the communion with the Father, with the Son and the Holy Spirit; he reaches maturity and no storm will shake him; he will remain firm, confident and rooted in God; that is our path. The fourth point: “A strong intervention against the satanic corruption by the Mystical Body of Christ in the whole universe.” There are two aspects to highlight: in our next two meetings we will speak about the action of Lucifer and his instruments on Earth and in the universe; we need to know them in order to know how to face them. Another point is that we have to be united with the instruments that God has prepared for this time, which unite the whole Mystical Body of Christ in the whole universe because the people has to march together with Christ – Christ is the guide. Whether it is a simple Christian, a priest, a religious person, a Cardinal, the Pope – it is always Christ who guides us; He leads us to the cosmic Pentecost which enables us to participate within us directly to the action of grace. The fifth point: “The special protection of Mary Most Holy, St. Joseph and the seven great Archangels given by God to His people, in particular to the consecrated who have been chosen for special missions.” We will speak about this widely, that is, about the seven great Archangels who are extraordinary instruments, and about Mary Most Holy and St. Joseph who are sublime instruments. Without them we cannot move forward, we cannot be elevated and we will remain without dimension. 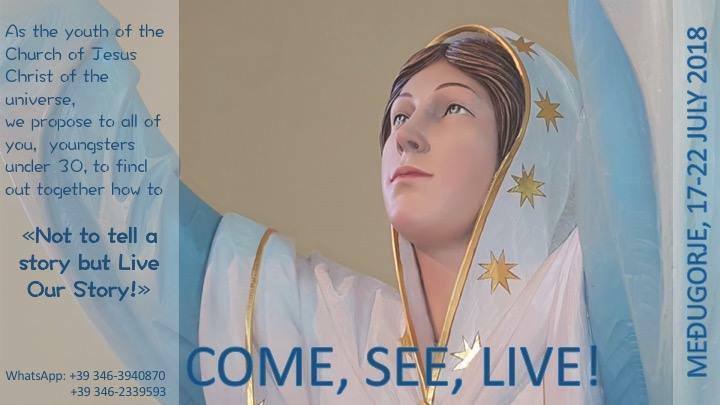 Therefore, I invite you to pray and to offer your life to Jesus and Mary. What should you offer? You have many sorrows, many sufferings, many worries, bitterness and negativity – offer your life and all this to the Lord so that He may heal your souls, make you blossom and transform you; so that your offer will be appreciated and thus greatly affect your families and peoples. This is the meaning of offering one’s life; who offers his life to God receives it back enriched and transformed; God returns it to us; He never keeps anything for Himself but continuously generates and regenerates. Hold your head up! God has decided to accomplish this project and complete the liberation of the people, which is the salvation. If you belong to Christ, no one can take you away from this plan. I bless you; may you feel all the joy, all the light and power of the Holy Spirit; may you be protected by all the instruments that God has prepared for you: the guardian angels, the saints, the extraordinary instruments and especially Mary Most Holy and St. Joseph; in the name of the Father, of the Son and of the Holy Spirit.